Often when investigating an issue there is information in logs that isn't captured well by Prometheus metrics. This includes qualitative information such as stack traces, but the frequency of certain messages may also be of interest and that is what this we will focus on here. which could more easily be tied to a specific code path. I could see these messages appearing throughout the incident, but I wanted to get a sense of the frequency and at what stages of the incident they appeared. and specifying the input and output formats to be %F_%T and %s%n generated output lines with a Unix timestamp only, in seconds since the epoch. The next step in processing was to count how many times each second-resolution timestamp occurred, using uniq's -c (count) option. 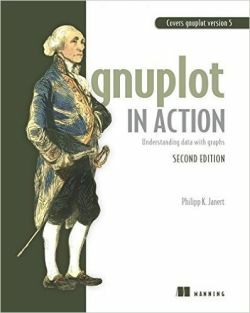 gnuplot is an open source plotting tool, first released 1986. It is a command line program that is useful both for interactive data analysis and scripted presentation of final graphics in many different output formats. I like to build up a gnuplot script by running a text editor in one window and sending commands from there into an interactive gnuplot terminal in another window. If your editor isn't set up for that (e.g. with tslime.vim), you can always use cut and paste or tell gnuplot to load your script from a file (load 'yourfile.gnuplot'). Here it is clear that IndividualRequestTimeoutExceptions were only present during an initial 30s period, after which Finagle's Endpoint is marked dead by failureAccrual warnings began, with a much greater frequency than our own Failed adding record to memcached messages. This indicated that the finagle-memcached client's internal retries were responsible for a large proportion of the exceptions, and the finally failed incoming requests were actually much fewer. These error remained stable from 18:10 to 18:20 (despite the serviceapi_finagle_memcached_client_dead_nodes metric in Prometheus showing recovery of all dead nodes by 18:10). In this chart, the x-axis range is set automatically by the range of the input data, and gnuplot's defaults are used for tick spacing, color selection and legend formatting, although it is possible to control all this and more if required. using 2:1 Use columns 2 (time) and 1 (count) for x and y values. lw 0.1 lw is the abbreviated form of linewidth. When multiple data sets are to be plotted, they should be separated by commas. Note that the different series of data are drawn in the order they are specified in the plot command, so it is important to find an order that does not obscure significant features of the data. I also chose different line widths in order to improve the visibility of certain features. In this example we used the impulses plotting style, which draws a line from y=0 up to the value of each data point. This is very simple and quite readable, and it's what I recommend for plotting frequencies from log data. The lines style would plot data from the same files, have the benefit of not drawing over the top of smaller values, and perhaps even look a little nicer, but it is complicated by interpolation. If there is no data point for a given x coordinate, it will be interpolated from the values of the points to either side of it, which means that times for which there was no count observed will not display as zero. Additional pre-processing could be done to insert zero values for any missing x coordinate in the data range, but for ad hoc analysis my preference is to just use impulses. Another alternative would be to draw a histogram using the boxes plotting style, but this requires additional logic for assigning data points to different buckets.